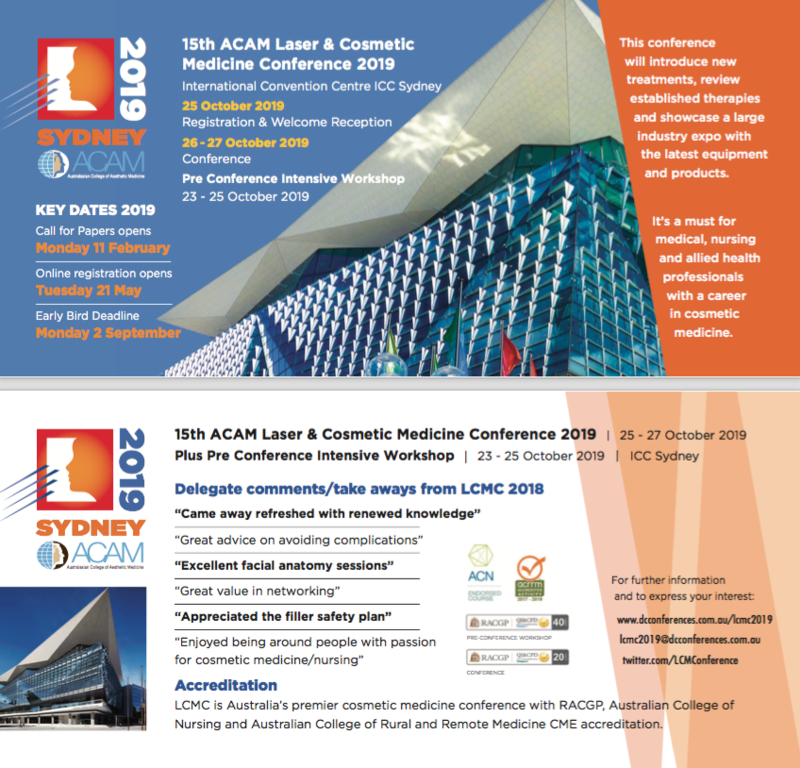 As the new president of ACAM, I am delighted to welcome you all to the 15th Laser and Cosmetic Medicine Conference in 2019, to be held in Sydney this year. In the past 12 months we have seen a groundswell of support within our profession for more regulation of our industry, so that we can all practice safe cosmetic medicine within clear guidelines. Our conference continues to embrace that ethos, not only providing the latest information on new and existing treatments and technology, but by embracing our regulatory bodies and MDOs. We strive to provide a program that is as free from commercial bias as possible, whilst collaborating closely with, and acknowledging, our trade partners. We are also now endeavouring to provide relevant and appropriate information to our RN colleagues who are often so integral to our medical team. Looking forward to seeing many new faces , and many familiar ones, at our exciting Sydney venue in 2019. Please click on the flyer below to download your copy. Interested in Attending? Sponsoring or Exhibiting? For further information and to stay up to date as information becomes available, please complete an expression of interest by clicking on the button below.